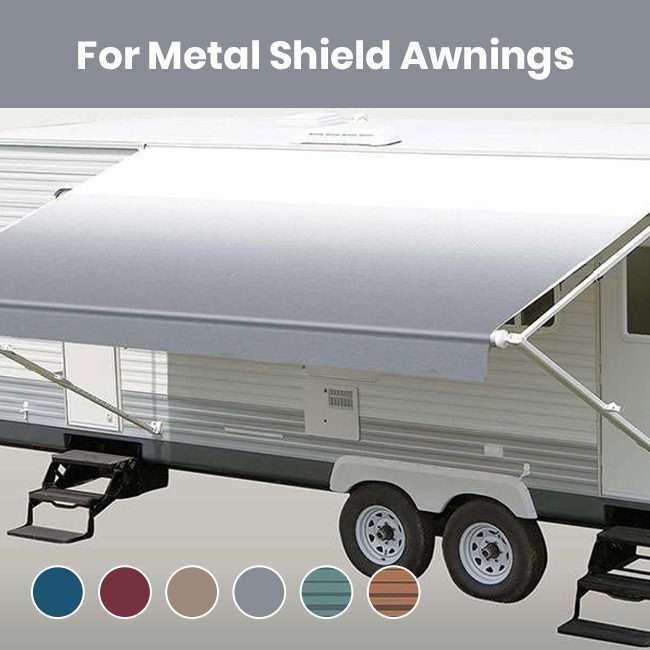 Designed to fit the Carefree awnings with the metal weather shield. Toughest fabric available on the market. 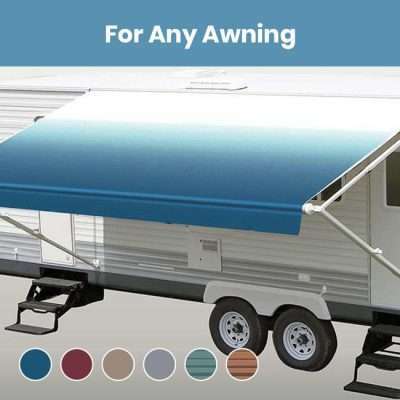 This RV Patio Awning Fabric replacement fits the Carefree awnings with the metal weather shield. It is a brand new canopy-valance design. This brand new canopy replacement is constructed of 15 oz vinyl with a 16oz white vinyl weather guard. The tensile strength of the material is 140 lbs per square inch. The canopy comes completely finished with hemmed edges and cord sewed in. The combination of these aspects equals the strongest fabric on the market with an appearance that matches. This canopy replacement is for an 18′ awning. The canopy itself will measure 17′ to 17′ 3″ from edge to edge. Please refer to our support menu drop down for more information on questions such as our warranty policy, shipping charges, and more.